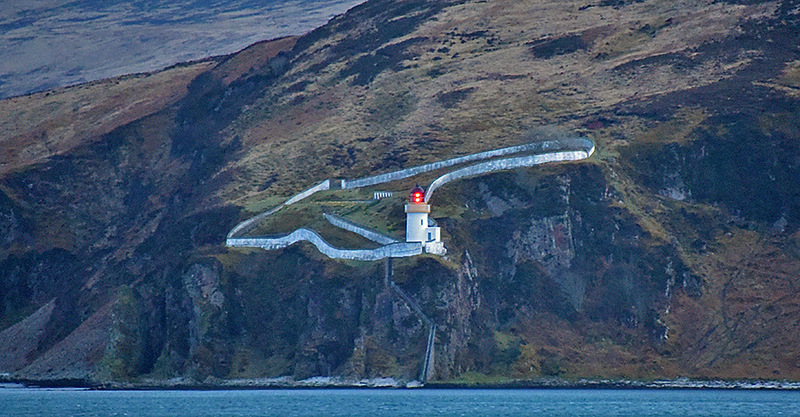 Guarding the southern end of the Sound of Islay, McArthur’s Head lighthouse flashing its light in the gloaming of an April evening. May be not the clearest picture, but I’m quite pleased that I managed to capture it at all, the light flashing, handheld from the moving ferry. This entry was posted in Cloudy Weather, Landscape, Lighthouses, New Post and tagged ferry, Islay, McArthurs Head, Sound of Islay by Armin Grewe. Bookmark the permalink. @islayblog Impressive, considering distances, ferry etc! Gorgeous photo, +Armin Grewe Very nice image.